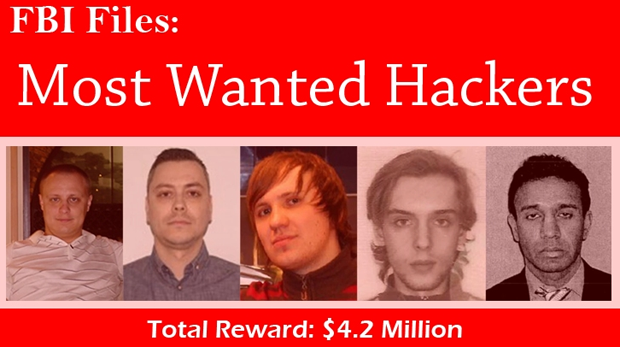 The US State Department and the FBI are offering a total of $4.2 million for information leading to the arrest or conviction of the top 5 most wanted international cyber criminals. The hackers are allegedly responsible for fraud totaling the hundreds of millions of dollars. The list includes Evgeniy Bogachev,30; Nicolae Popescu, 34; Alexsey Belan, 28; Peteris Sahurovs, 26; and Shailesh Kumar Jain, 45. To see what each of them have done to get them to the top 5, go here.